Fairytales and Fitness: Why Are These Foods Organic? And Another Winner. Have you ever contemplated on whether or not you should be buying organic fruits and vegetables? 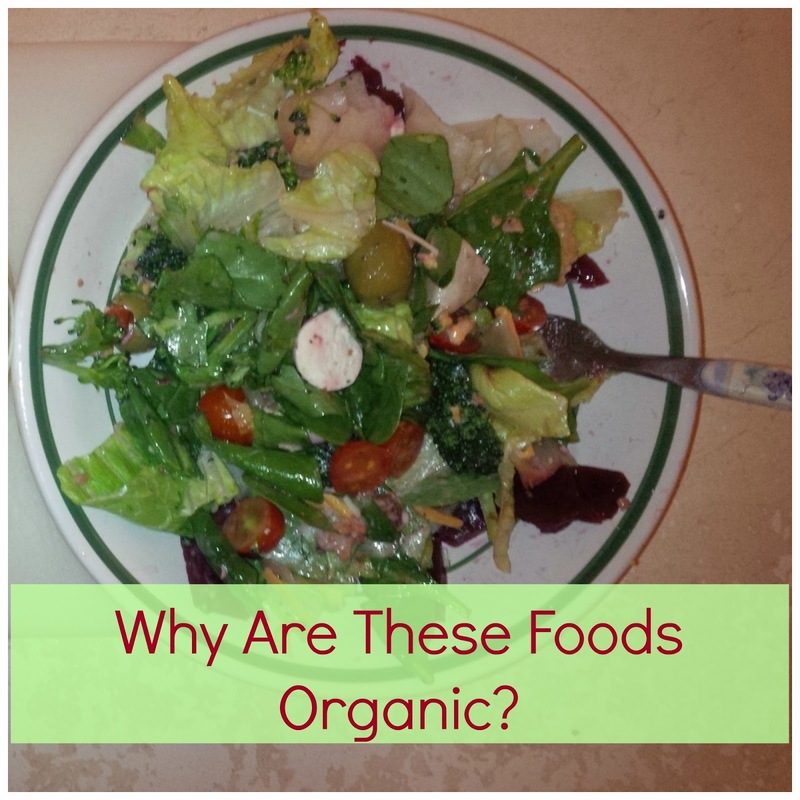 Do you really know what it means to be "organic" or do you just assume that it must be "healthier"? I use to teach this lesson in my nutrition class and this is what I would tell my students. If a fruit or vegetable is labeled as organic, it simply means that product was grown without the use of chemical fertilizers or sprays. The soil is enriched with organic fertilizers such as animal manure or plant matter decay that release nutrients into the soil. If there is a chance you are worried about left over pesticides on your produce, than buying organic is the way to go. Its hard to tell the difference between an organic fruit or vegetable and an non organic piece. Actually organic fruits and vegetables have the same nutritional quality as non organic fruits and vegetables. 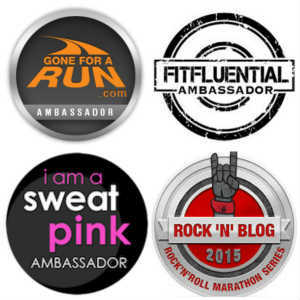 Have you heard of the "Clean 15" and Dirty Dozen? 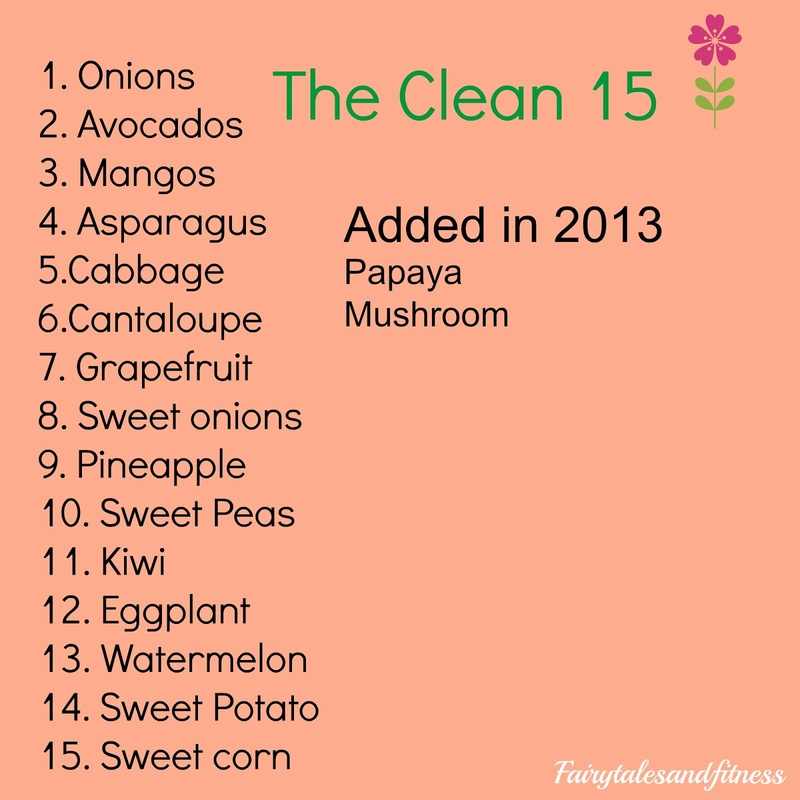 The Clean 15 is a list of produce that the Environmental Working group has claimed "Okay" to buy non organically because of the low risk to pesticides effecting the product. 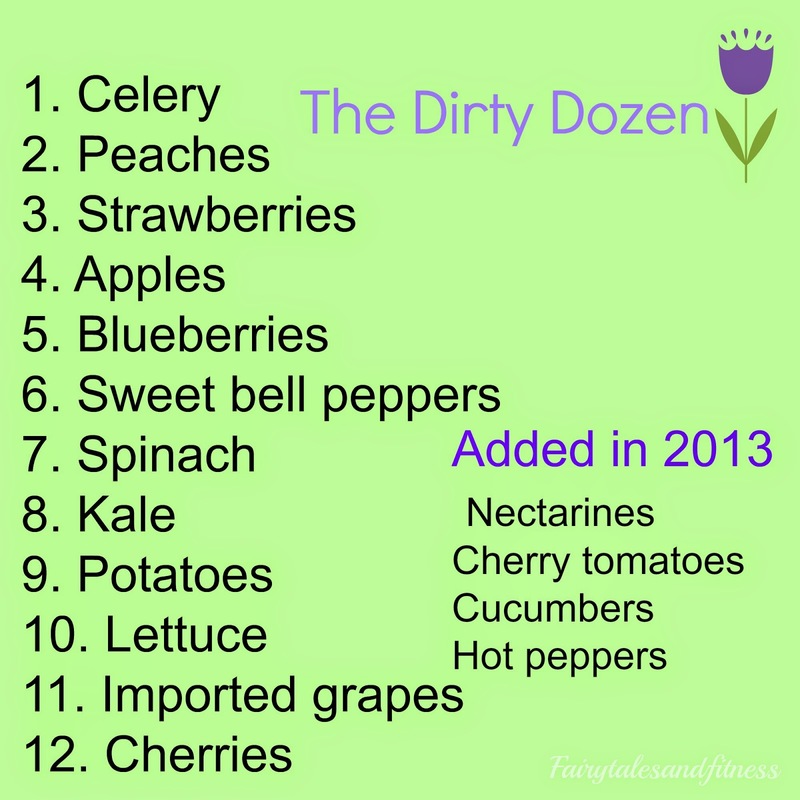 The Dirty Dozen is a list of product that the Environmental Working Group suggested consumers should be buying organically because there is a higher risk of pesticides effecting the product. I'm not quite sure why, but this list seems to change slightly from year to year. I have never read any clear explanation of why certain products make certain lists, but each year I have taught a lesson on organic foods, and the students like to make their best guess! My conclusion, as is theirs, is that the Clean 15 list are all products that have a skin on them (thus making the consumer less susceptible to pesticides because they will be taking those skins off). But then we have Asparagus on the list. I don't know about you, but I've never peeled my asparagus. So that kind of throws a wrench in our theory. Unless they believe that asparagus has such a hard outer coating that its not really susceptible to pesticides? The Dirty Dozen however, are all items that wouldn't necessarily need to be peeled, so in this instance our theory would hold true. Do you buy organic produce? What is your theory about how they came up with the list? Even in all the nutrition text books I have, I have never found a concrete answer to the Clean 15 and Dirty Dozen debate. If you have found this somewhere can you please let me know where? ( but please do not post the link in the comments). Here's another tip for you: next time you put fresh fruit in your crisper draw in the fridge, put a sponge in there. This draws out the moisture and keeps your produce fresher longer. Also, don't wash your produce before you store it. Wait till you are ready to eat it. You don't want to add any more moisture to it before putting it in the fridge. John, please contact us through email or message us through Facebook with your address. Thanks. We are linking up with Lean Lena again for another Tasty Tuesday. Go ahead and link your best food post up. Remember to mention that you are linking up with us and please visit a fellow blogger on the list. This is really interesting. I never really buy organic just because of the price. Honestly, I don't really either. I never knew these list existed, thanks for the info, I will be referring to the when I shop!! When I taught this lesson a few years ago there was actually a site that was giving out free key chains that had the list on it. I don't remember the site now but I know it would come in handy when shopping at the store. I try to buy alot of organic produce, and keep the list in mind of the things I can buy safely that are non organic. Yes, organic is way more costly, but it is a price I will pay for clean produce. That's good that you are aware of the difference between the types of produce! I agree with you Lesley. It is nice to be informed, but I've never had a problem with it either and I'm pretty sure my parents didn't by organic foods back then. I will buy a few fruits and veggies organic and I also buy my herb organic. I am not super crazy though about the organic and will just really wash my fruits and veggies very well! There is actually a scrub you can get for the fruits and veggies when you wash them. I've never tried it though. Yay! Glad you liked the sponge tip. I hope it works for you! Thanks for the sponge tip! I had no idea! O yikes! I would not want ants or bugs of any kind on my produce. That would definitely turn me off. I have a funny story that relates to this, and how although most have heard of the term Organic, not everyone has a clue on what it really means. My sister has a daughter with a severe peanut allergy, at school one of the mothers brought in cupcakes and my sister happened to be there, she asked the mom what cake mix was used so she could let her daughter know if she could have one or not. The mother turned to my sister, with a "know it all attitude" and said "It's okay, it's organic.." As if that has anything to do with peanuts, LOL. But when I read your post it reminded me of it, that not everyone has a clue. Ha, that is a funny story and you are right, a lot of people don't understand what organic really is. I should have mentioned in the post about organic meat too, but thought that might be too much. I wish I had a garden but I know I wouldn't take care of it properly! I learned the bad way about washing things BEFORE storing it. I wish I knew why it changed from year to year as well. Yes, please feel free to Pin those. I mentioned earlier that one site I knew was giving out key chains with this info on it. That would be helpful to you! I don't really pay much attention to this stuff, as the "scientific backing" is usually weak if at all present. I do buy some things organic, because I like them better. But in general, the hefty price tag does not = a healthier product. You are right, nutritionally there is no difference in the product. Bring on the ONIONS and ASPARAGUS!! 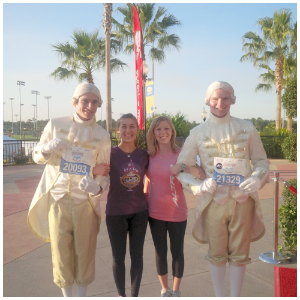 :D Wahoo! Love! I just hate that BELL PEPPERS and SPINACH are on the dirty list because I also eat a TONNNNNNN! I don't really pay attention to if things are organic or not. I don't think they're that much "better" for you, especially if you remember to rinse/wash things before eating them. In my grocery store the organic produce its in its own section. Sometimes I get annoyed if I can't find the vegetables I want and they are only sold as "organic" that's the only reason I take notice. Oh my..I purchase many on the dirty dozen list..non organic. hmm. may need to rethink this. Thanks! Thanks for this info! My main issue with organic is the cost. Maybe I'm cheap (or, more likely, poor) but it's just so hard to reach for that carton of organic strawberries or apples when the "regular" ones are going to end up costing several dollars less. And then I feel bad because I really do feel like I've become a super health-conscious person and I definitely do NOT want to be buying "dirty" produce. So I guess if you're not willing to shell out the extra $, you have to be really diligent about washing everything thoroughly -- what else can you do, right? I know it's no excuse, because you can't put a price on your health, but to be honest....I can't buy everything organic because it costs too much freaking money and it's really frustrating! !